The covert alliance between the Kingdom of Saudi Arabia and the Zionist entity of Israel should be no surprise to any student of British imperialism. The problem is the study of British imperialism has very few students. Indeed, one can peruse any undergraduate or post-graduate British university prospectus and rarely find a module in a Politics degree on the British Empire let alone a dedicated degree or Masters degree. Of course if the European led imperialist carnage in the four years between 1914 – 1918 tickles your cerebral cells then it’s not too difficult to find an appropriate institution to teach this subject, but if you would like to delve into how and why the British Empire waged war on mankind for almost four hundred years, you’re practically on your own in this endeavour. One must admit, that from the British establishment’s perspective, this is a formidable and remarkable achievement. In late 2014, according to the American journal, Foreign Affairs, the Saudi petroleum Minister, Ali al-Naimi is reported to have said, “His Majesty King Abdullah has always been a model for good relations between Saudi Arabia and other states and the Jewish state is no exception.” Recently, Abdullah’s successor, King Salman expressed similar concerns to those of Israel’s to the growing agreement between the United States and Iran over the latter’s nuclear programme. This led some to report that Israel and KSA presented a “united front” in their opposition to the nuclear deal. This was not the first time the Zionists and Saudis have found themselves in the same corner in dealing with a perceived common foe. 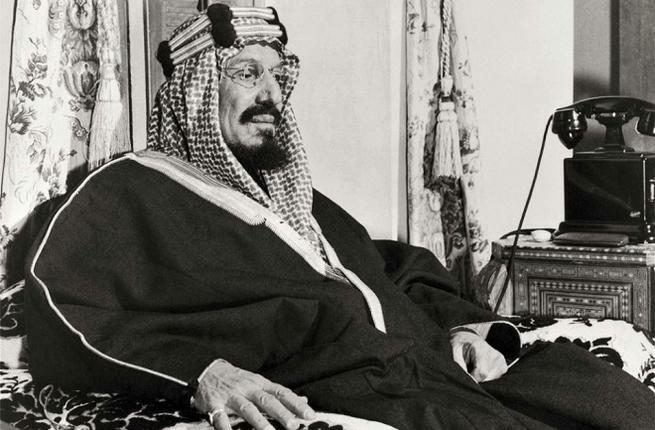 In North Yemen in the 1960’s, the Saudis were financing a British imperialist led mercenary army campaign against revolutionary republicans who had assumed authority after overthrowing the authoritarian Imam. Gamal Abdul-Nasser’s Egypt militarily backed the republicans, while the British induced the Saudis to finance and arm the remaining remnants of the Imam’s supporters. Furthermore, the British organised the Israelis to drop arms for the British proxies in North Yemen, 14 times. The British, in effect, militarily but covertly, brought the Zionists and Saudis together in 1960’s North Yemen against their common foe. Understandably, the Sharif as soon as the war ended wanted to hold the British to their war time promises, or what he perceived to be their war time promises, as expressed in the aforementioned correspondence. The British, on the other hand, wanted the Sharif to accept the Empire’s new reality which was a division of the Arab world between them and the French (Sykes-Picot agreement) and the implementation of the Balfour Declaration, which guaranteed ‘a national home for the Jewish people’ in Palestine by colonisation with European Jews. This new reality was contained in the British written, Anglo-Hijaz Treaty, which the Sharif was profoundly averse to signing. After all, the revolt of 1916 against the Turks was dubbed the ‘Arab Revolt’ not the ‘Hijazi Revolt’. The Sharif let it be known that he will never sell out Palestine to the Empire’s Balfour Declaration; he will never acquiescence to the establishment of Zionism in Palestine or accept the new random borders drawn across Arabia by British and French imperialists. For their part the British began referring to him as an ‘obstructionist’, a ‘nuisance’ and of having a ‘recalcitrant’ attitude. When financial bribery failed to persuade the Sharif, Lawrence threatened him with an Ibn Saud takeover. Lawrence claimed that “politically and militarily, the survival of Hijaz as a viable independent Hashemite kingdom was wholly dependent on the political will of Britain, who had the means to protect and maintain his rule in the region.” Inbetween negotiating with the Sharif, Lawrence made the time to visit other leaders in the Arabian peninsula and informed them that they if they don’t tow the British line and avoid entering into an alliance with the Sharif, the Empire will unleash Ibn Saud and his Wahhabis who after all is at Britain’s ‘beck and call’. Simultaneously, after the Conference, Churchill travelled to Jerusalem and met with the Sharif’s son, Abdullah, who had been made the ruler, “Emir”, of a new territory called “Transjordan.” Churchill informed Abdullah that he should persuade “his father to accept the Palestine mandate and sign a treaty to such effect,” if not “the British would unleash Ibn Saud against Hijaz.” In the meantime, the British were planning to unleash Ibn Saud on the ruler of Ha’il, Ibn Rashid. By Nu’man Abd al-Wahid. This article was originally published here. Well, did Zionism help create Saudi Arabia? Anyway, Israel and Saudi Arabia had both the same birth mothers – the British Empire.